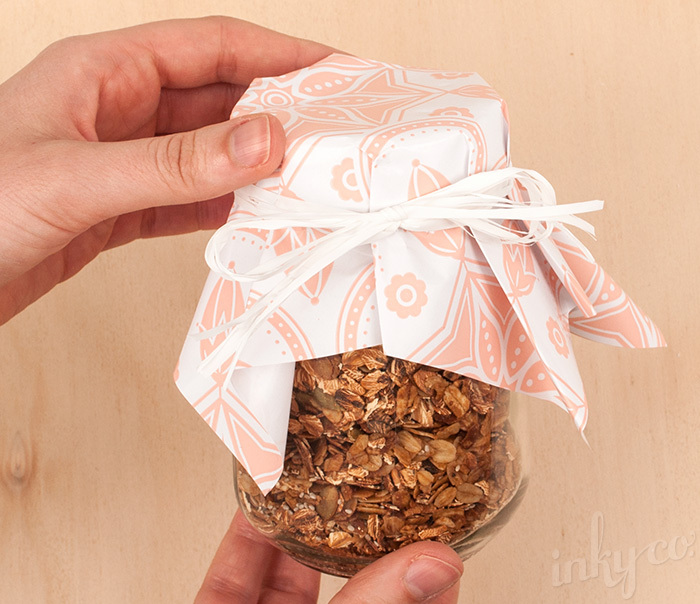 We know that most of you don't live at home with Mum so here is your portable breakfast in bed alternative, our super delicious and extra cute Mother's Day Granola! This recipe is so yum and incredibly easy to make. So much so that I've already made a second batch because the first did not last long in the Inky office (Hello, mid-afternoon snack!). 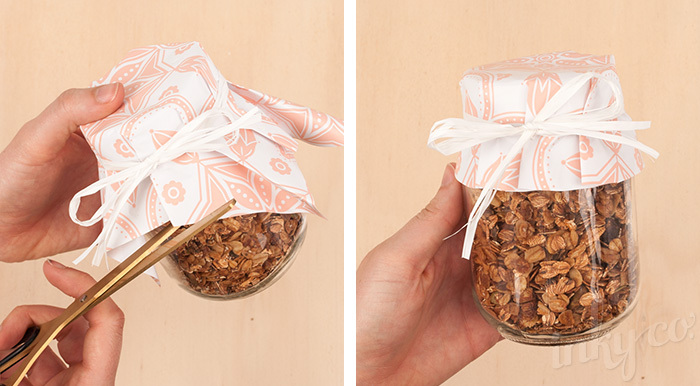 We've even given you step by step instructions on how to dress up your mason jars in our new Peach Collection ready to impress Mum! Step 5. Once your oil and honey starts bubbling, pour it over your dry ingredients and mix together. At this time you can add a pinch of salt if you like. Step 6. 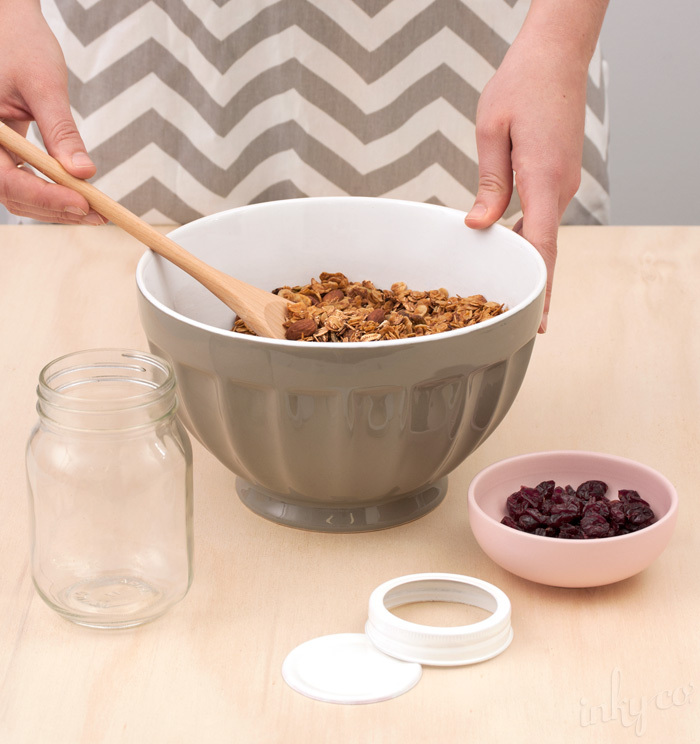 Pour the contents of the bowl into the baking tray, spreading it out. Step 7. 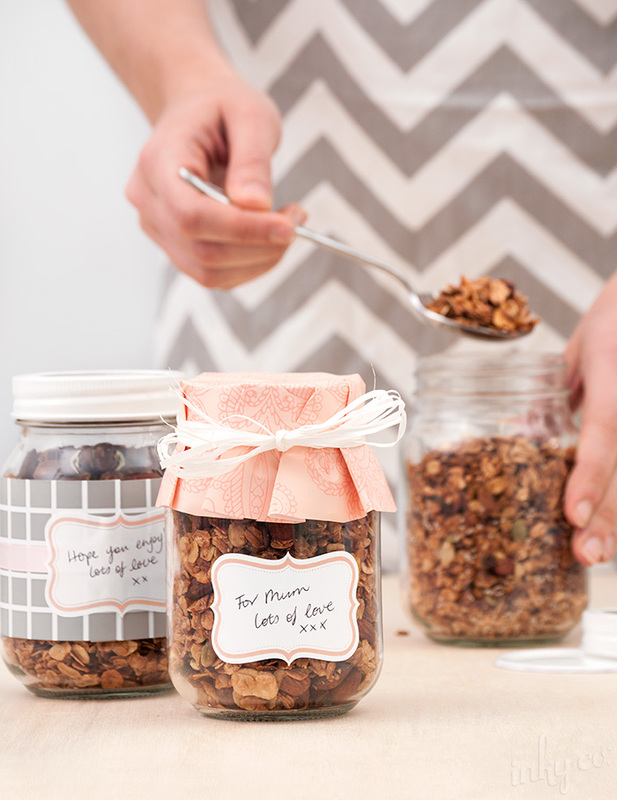 Bake your granola for around 30 minutes or until it is golden, stirring every 10 minutes to allow for even crunch. Step 1. 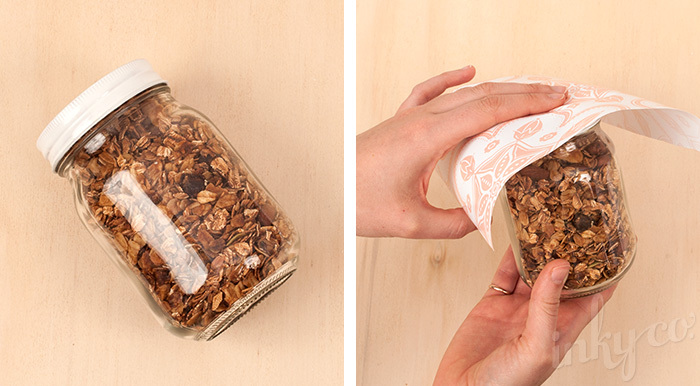 Fill your jar with the cooled granola. Step 2. 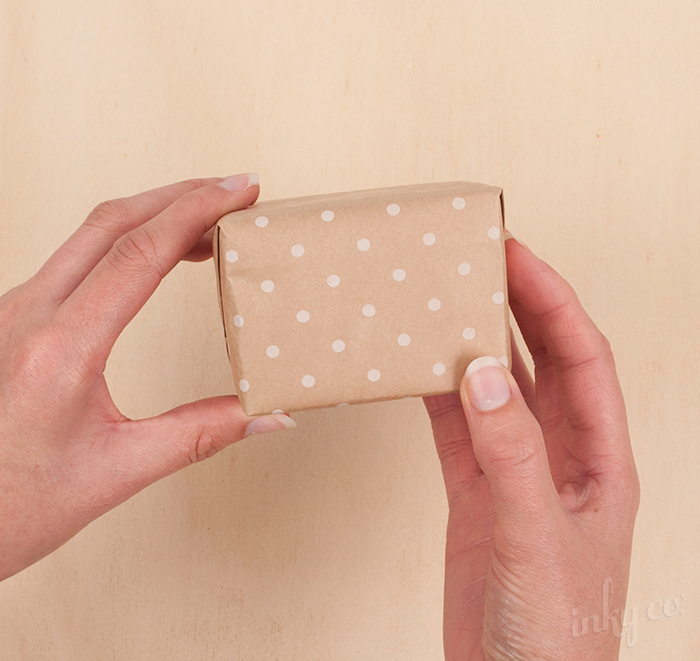 Place your 20cm x 20cm square of wrapping paper onto the centre of your jar lid. 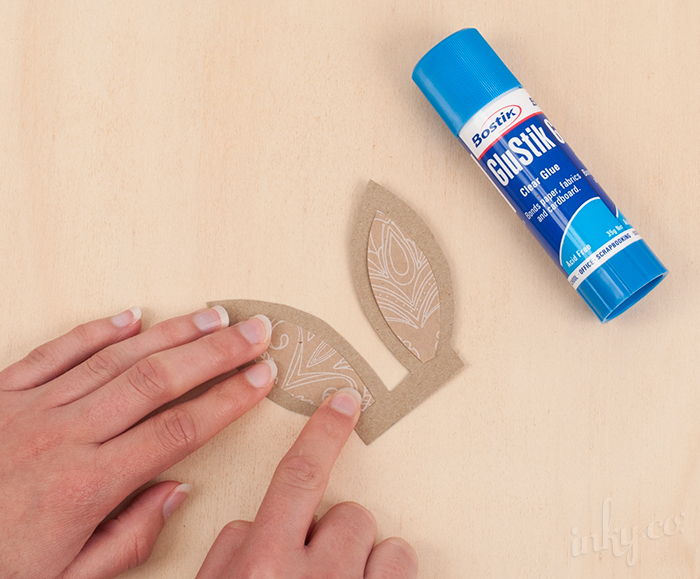 You can use a small square of double-sided sticky tape to secure it in place. Step 3. 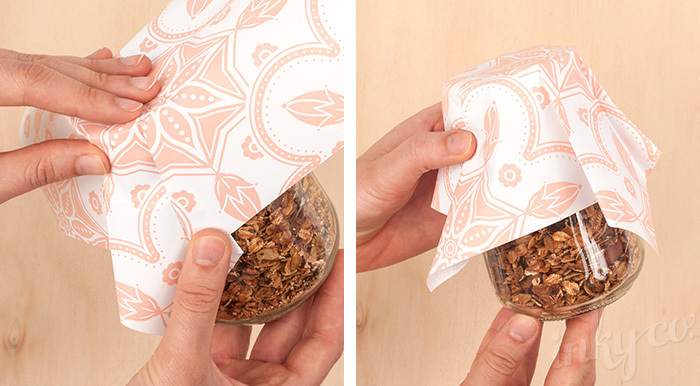 Fold one side of your square of wrapping paper down, keeping it taught against the jar. Step 4. 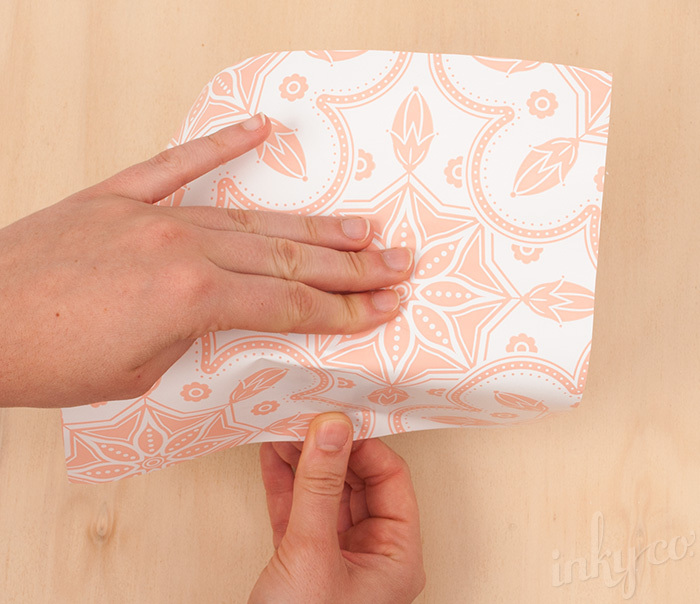 Begin to fold the paper down vertically from the lip of the lid creating an overlap with each fold. Step 5. 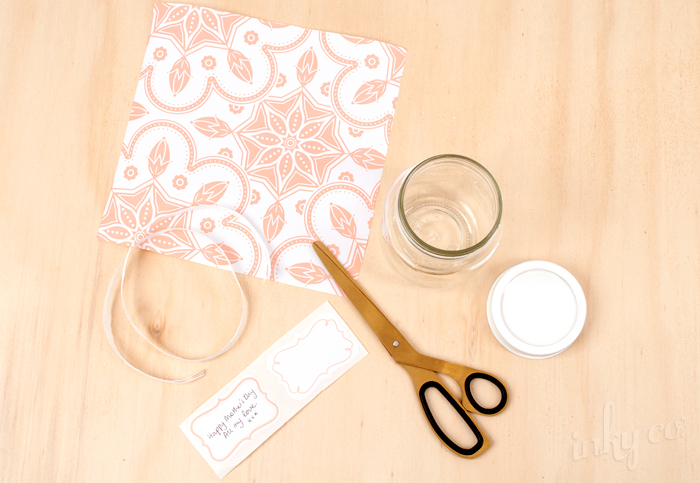 Repeat this in a circular pattern around your jar lid until all the edges of the paper are folded around the jar. Step 7. 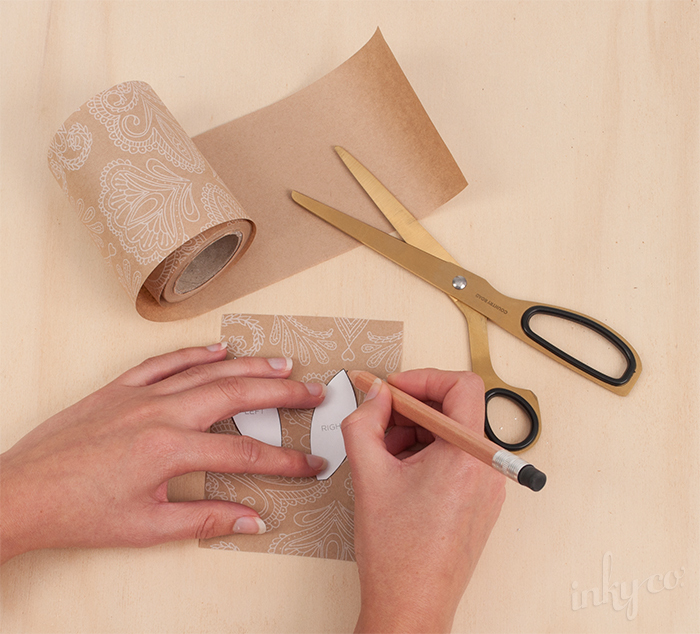 Using your scissors, trim around the paper until it has a circular edge aligning with the jar lid. Step 8. 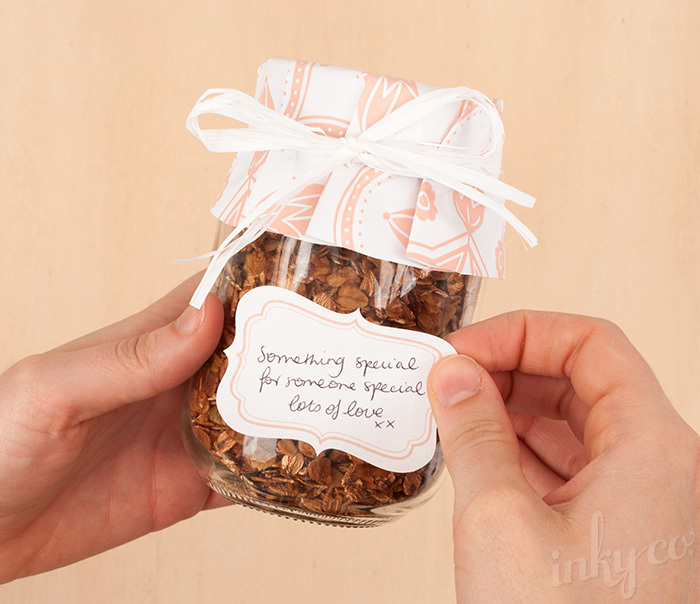 Write a message to Mum on your Message Seal and peel off and secure to the sticker onto the front of the jar. You might also like to try wrapping a length of Belli Band (we've used Stone Check) around the centre of your mason jar and sealing with a Message Seal. Happy cooking! 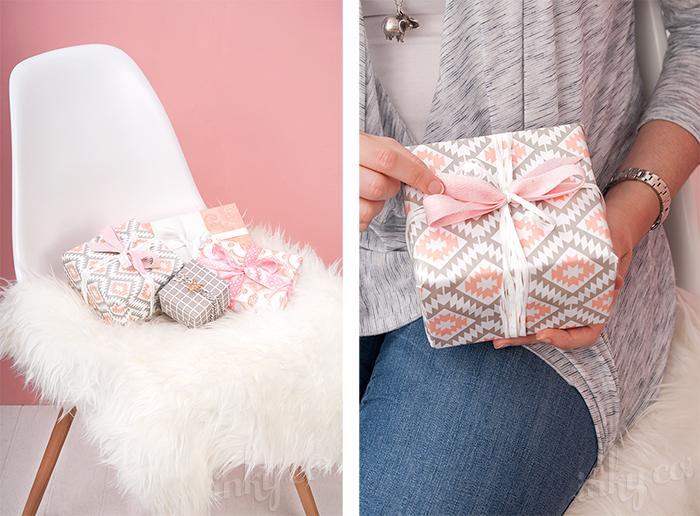 Introducing our new Peach & Stone Collection! Perfect for Mother’s Day, this range is feminine with a touch of warm stone to create a modern, soft colour palette. Available in four new patterns printed on white stock with a semi satin finish. 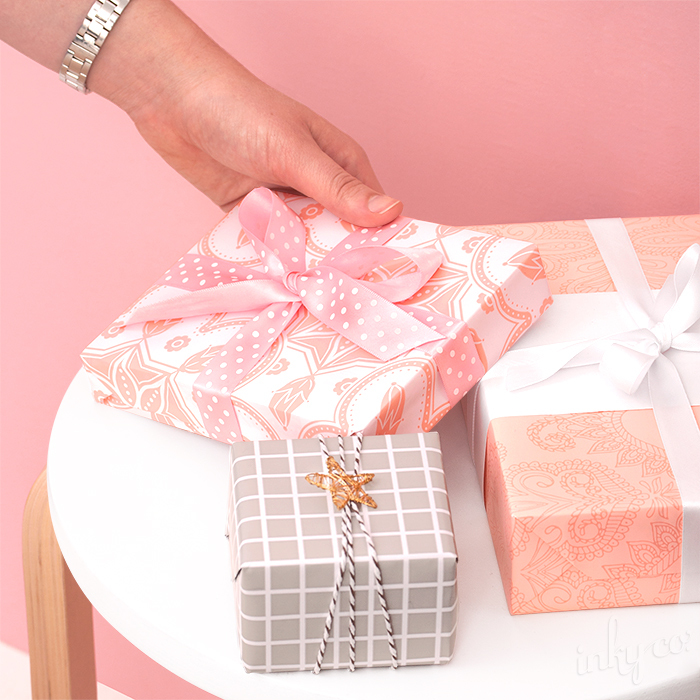 Complete your gift wrapping with some of our pink and white ribbons such as Pink Polka Dot, Pink Herringbone, White Raphiella or White Satin. Get ready to spoil Mum this Mother’s Day! 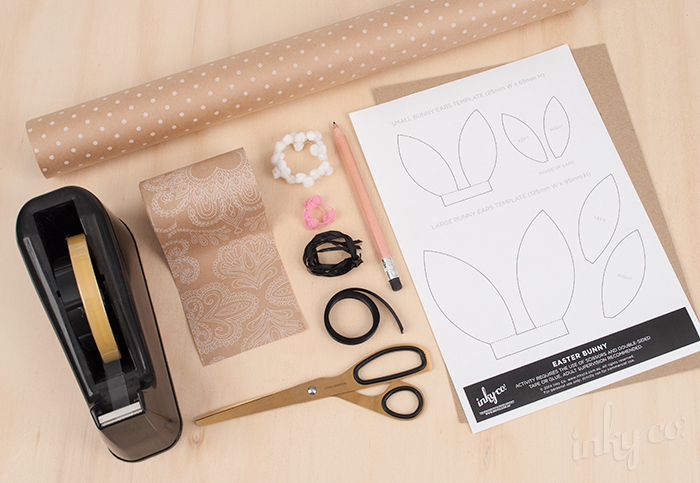 With the Easter break just a week away, here is a cute DIY to help you snazz up your easter gift giving with some uber cute Bunny Ears. 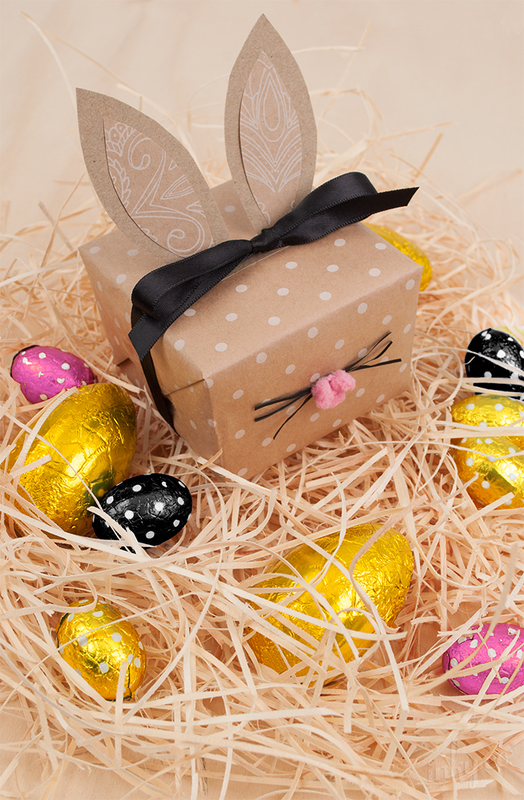 We highly recommend that all gifts given be filled with chocolate. Happy Easter! Step 1. 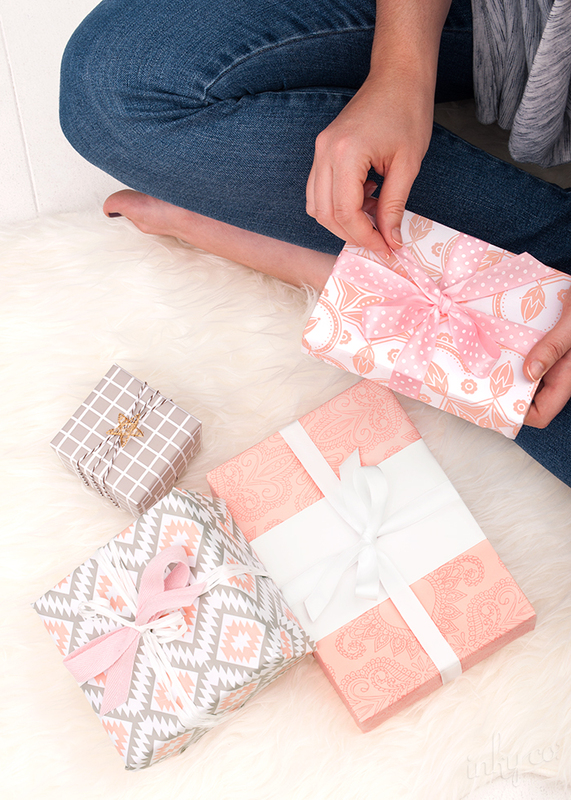 Wrap your gift. Step 2. 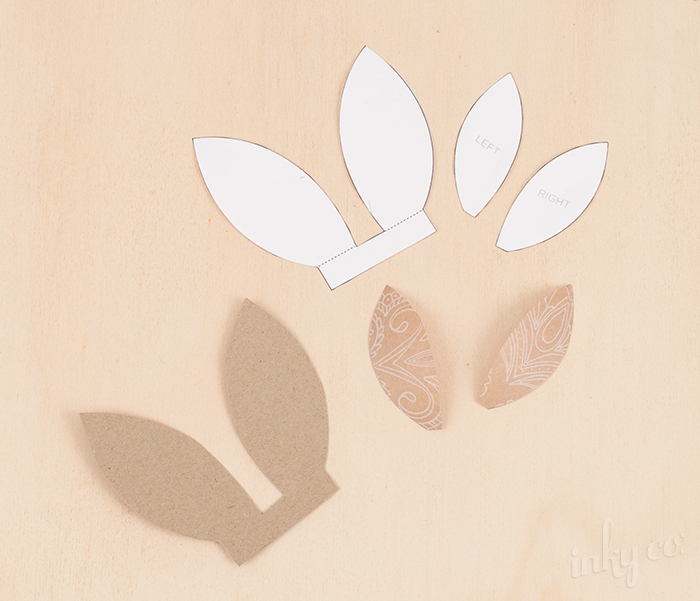 Cut out your bunny ears pieces from the template. For this design we used the small template. Step 3. Using a pencil to trace around the inside ear pieces on a section of your belli-band. These will form the inside pattern on the ears. Next trace around the main bunny ear piece on a section of kraft card. Step 4. 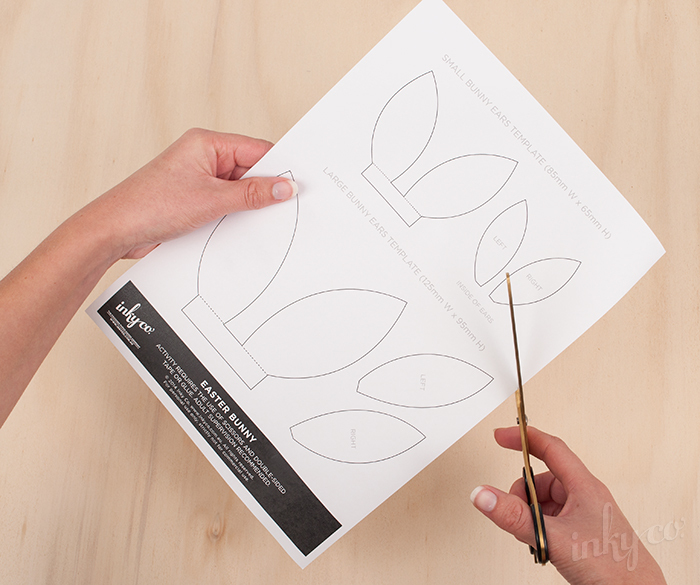 Cut out all your traced pieces. Step 5. Using a glue stick or double-sided tape attach the inside ear pieces to the main ear piece. Step 6. 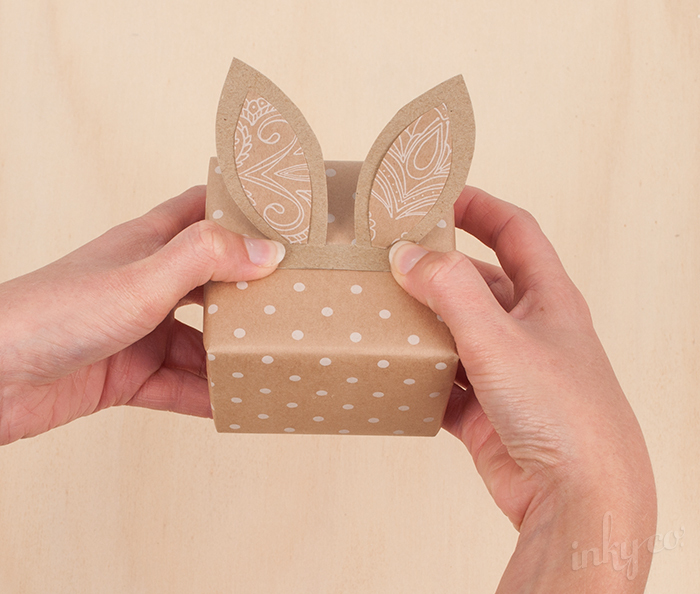 Fold along the base and secure the ears to your present using double-sided tape. Step 7. 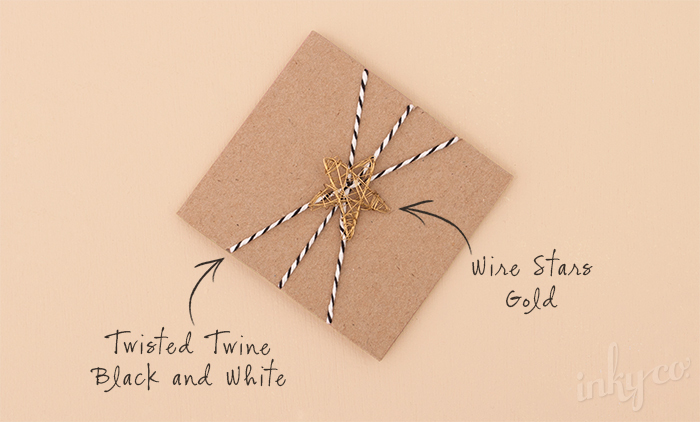 Wrap a cute bow around the top of your present to hide where the ears are stuck down. Step 8. 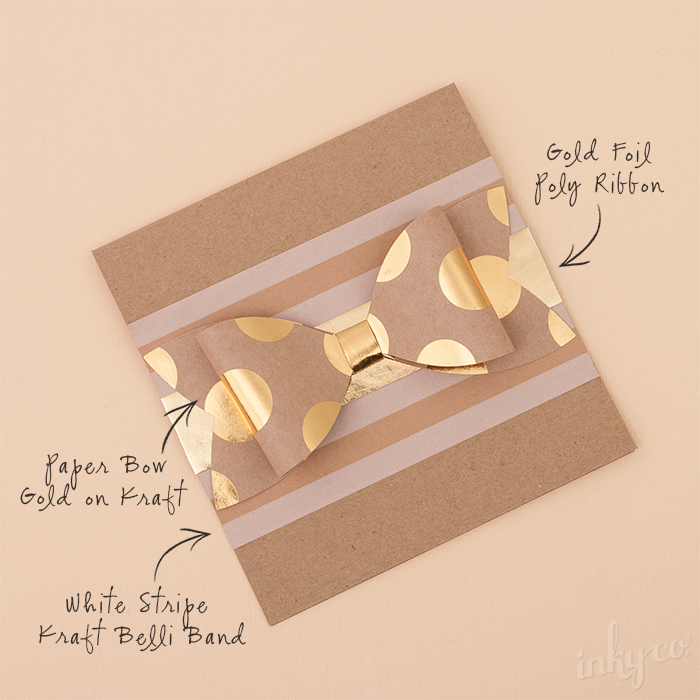 Using your pom pom ribbon, create your nose and tail pieces by wrapping the ribbon into small bunches. Attach some short pieces of raphiella to your pink nose to make the whiskers. Step 9. 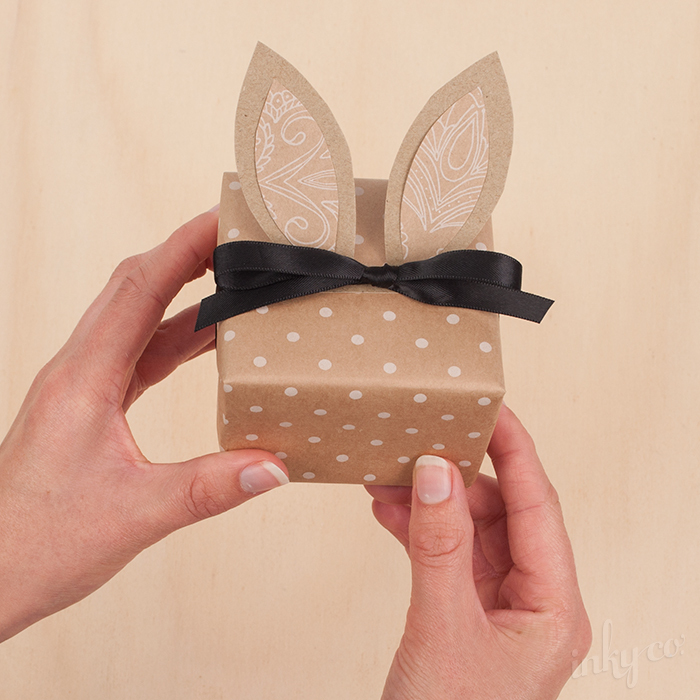 Secure your tail, whiskers and nose pieces onto your gift using double sided tape to complete your bunny! Also don't forget to check out our Easter Gift Seals for a little pop of colour! 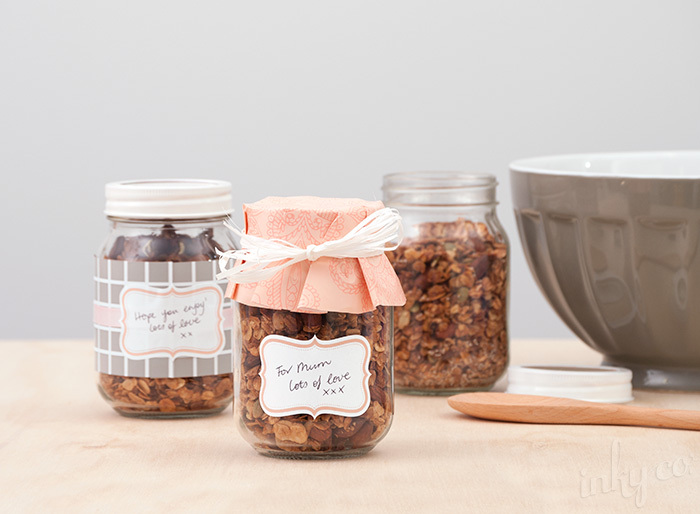 Mums love handmade goodies, am I right? I don't know about you, but my Mum has a massive collection of drawings, cards and notes from my childhood hidden away in a box that she refuses to throw out (some of which are so scribbled they are barely legible). It's always nice to know that someone has gone to a lil' extra effort to make you feel special, and Mum deserves it most of all. 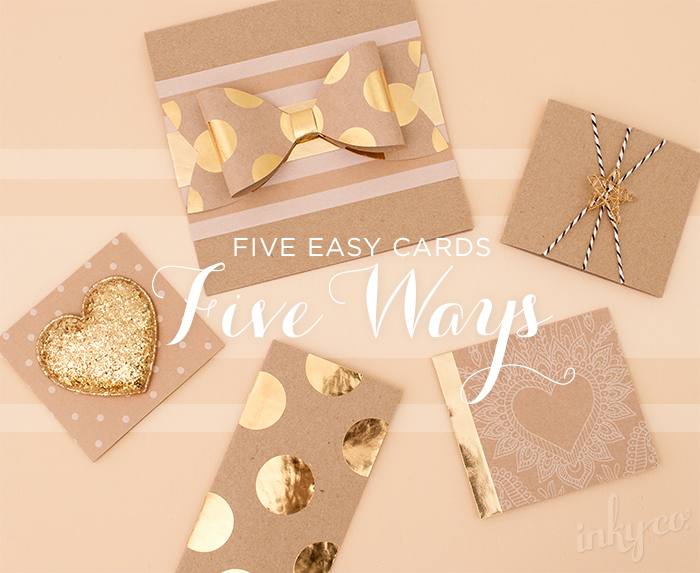 So here are five quick cards you can whip up using kraft card and some Inky Co. products to help you make Mum feel ultra spesh this Mother's Day. 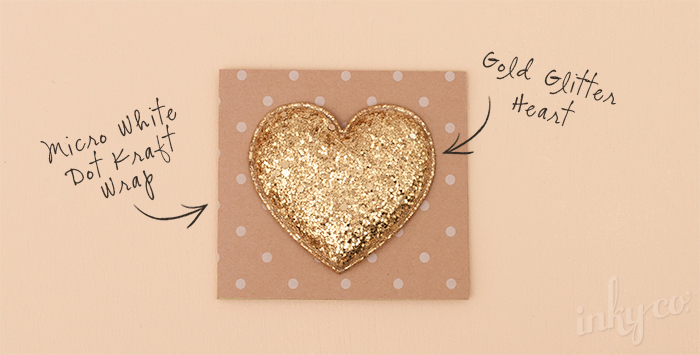 Use your own personal taste to create cards to suit the size and style of your gift. 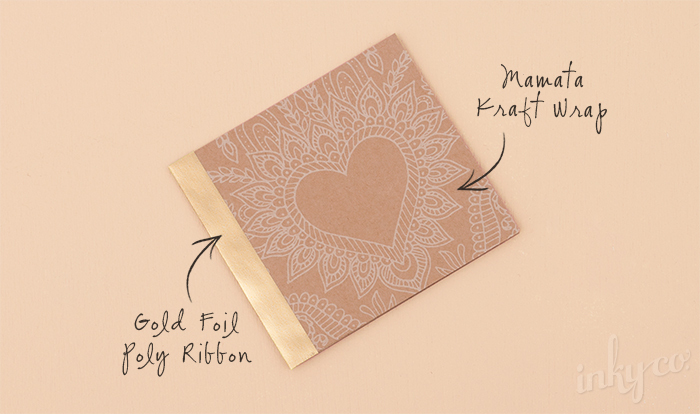 For gift wrapping don't forget to check out our NEW Mother's Day Kraft papers Mamata Kraft, Micro White Dot Kraft, White Stripe Kraft and Mama Ocllo Kraft. 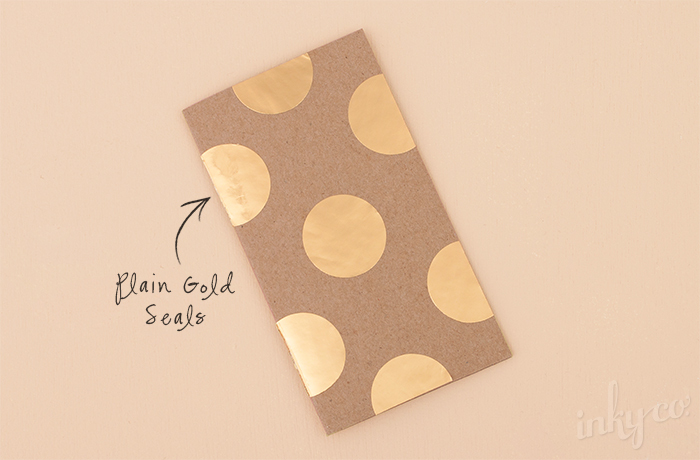 And for those of you with little time to craft-it-up this Mother's Day you can also purchase our gold foil Love Envelope Cards.